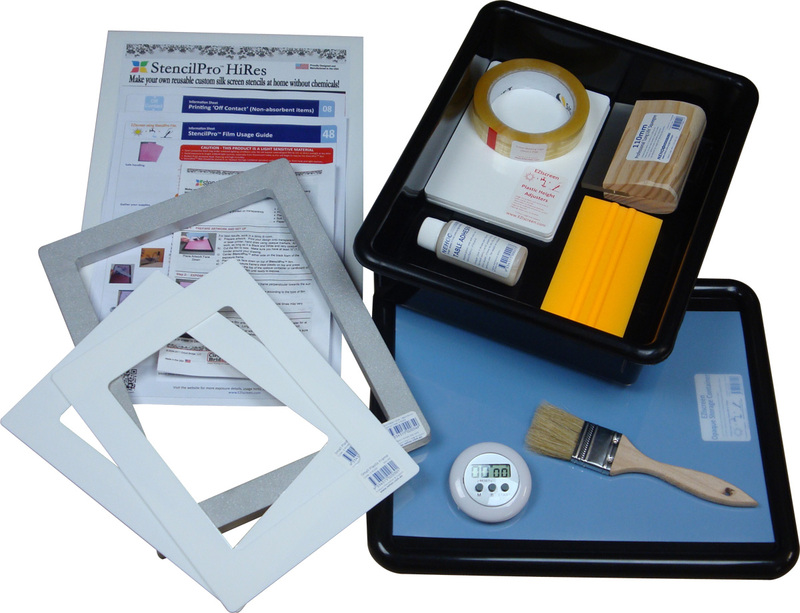 An easy to use beginners kit providing high resolution prints using StencilPro™ HiRes film. Print paper, glass, ceramics, metals wood, leather, silk, plastics and hundreds of other materials - simply add a suitable ink for the application (paper/ wood ink supplied in kit). Unlike Speedball and Diazo emulsions, there is no coating screens before you begin - simply start exposing your designs instantly. 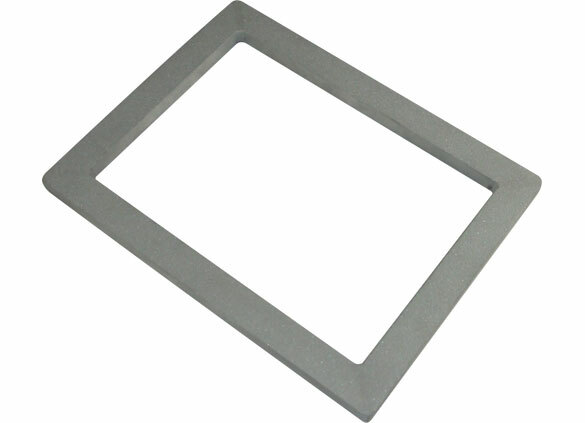 Printing glass, metals, plastics and all other non-absorbent materials requires screens to be printed off contact for clear, crisp results and our Basic HiRes Kit (unlike SpeedBall and other screen printing kits) ensures you have the right equipment straight away, with Height Adjusters, Screen Masking Tape and instructions. With EZIscreen you can keep and reuse your screens. You don't have to destroy your designs and reclaim the screens each time you would like a new design, with the EZIscreen can remove your StencilPro™ film once you have finished printing, store the screen for later use and reuse your frame for a new design. - Reusing your frames saves you $$ each time you make a screen and importantly you don't have to remake a design when you want to reuse it, simply pull is back out, attach to your frame and start printing again whenever you want. Our HiRes Kit comes with 2 x HiRes StencilPro™ sheets, A4 Multi-function Artwork Transparency sheets, both large and small frames, squeegee, timer, washout brush, ink palette knife, height adjusters (for off contact printing), frame masking tape and instructions. 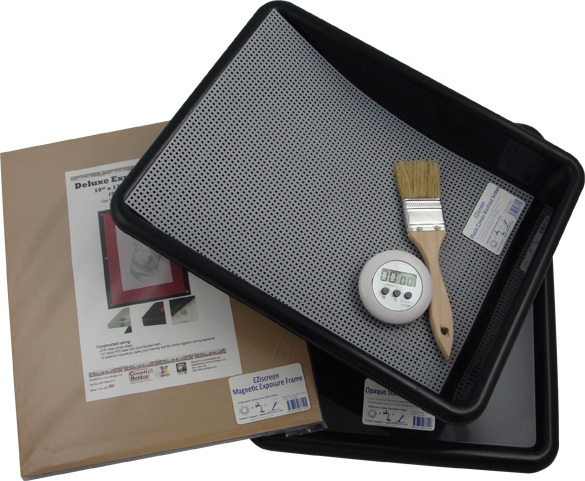 Plus your receive the EZIscreen Opaque Storage Container to washout your StencilPro™ films during developing and also store all your equipment in after use! Just add the ink specific to your application and start printing. Click icon below for details . .
For best results when exposing StencilPro™ film, we recommend using the Magnetic Exposure Frame, to hold the transparency tight against the film. See individual product pages for further details.